North American travelers need not look to other continents to experience an island vacation getaway. At the northwest section of the United States sits the exotic archipelago named San Juan Islands. The San Juan archipelago is actually composed of more than 150 islands and boasts a long shoreline that stretches more than 30 miles. 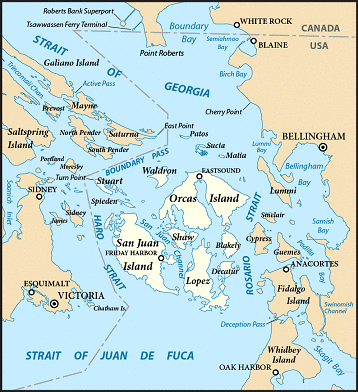 The three major and biggest islands include Orcas, Lopez and San Juan Island. Officially a part of the U.S. state of Washington, San Juan possesses all the qualities of a vacation destination. It has the scenic landscape, the beautiful sandy beaches and the tropical tranquil atmosphere that city dwellers yearn for. Exploring the coastal waters of San Juan is one of the best things to do while here. There are a number of harbors that provide easy access to motorboats, sailboats and yachts. For marine animal enthusiasts, San Juan Islands is an ultimate destination. The archipelago is the home to a population of orca whales. Thus, one of the biggest islands in the region is named after these whale species. If you want to see these magnificent creatures in action, book one of the many whale watching tours offered around the archipelago’s coastal waters. 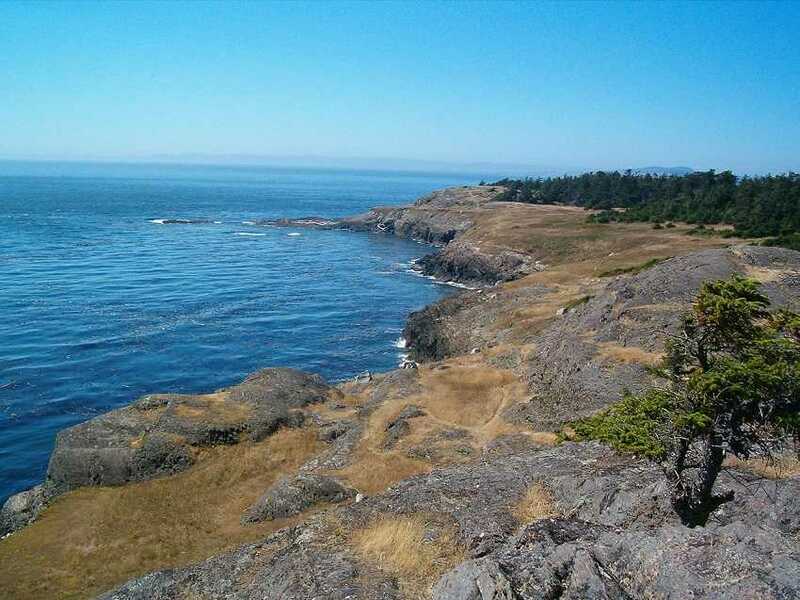 You can also check out the Lime Kiln Point State Park, one of the most popular spots in San Juan for whale watching. Other marine creatures that thrive around the islands include Steller sea lions, Dall’s porpoise, Common minke whales and River otters. Friday Harbor is one of the most prominent towns in San Juan Island. This charming historic town offers its guests a wide range of top class restaurants, boutiques, art galleries and places to shop. Friday Harbor is small enough to make it easy for you to walk around the marina and to the town’s famous attractions like the Palace Theater, San Juan Historical Museum and the Whale Museum. Jackson Beach just beside the ton makes a nice spot for swimming, picnicking and relaxing. If you want to know more about the activities and tours in the entire island, just drop by one of the many tour offices in town. This is a small island within the San Juan Islands taken at night. In the archipelago, four islands are accessible by passenger ferry operated by the Washington State Ferries system. There are no bridges to the San Juan Islands; therefore, all travel from the mainland is either by water or by air. If you are looking for other beaches, the longest stretch you can find on South Juan Island is the South Beach located in an area called American Camp. This place is also highly visited for its hiking trails, forests and beautiful natural sites like Mount Finlayson and Jakleís Lagoon. Another interesting fact about the San Juan is it houses one of the country’s biggest lavender farms, Pelindaba Lavender Farm. Situated in the middle of San Juan Island, this farm houses an aromatic store. 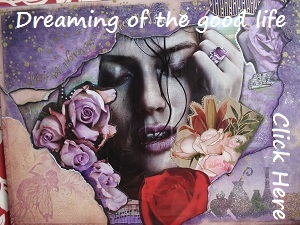 It is the host to the July lavender festival. Visiting Pelindaba will allow you to learn more about lavender growing, and to take some of the best fragrant products home with you. 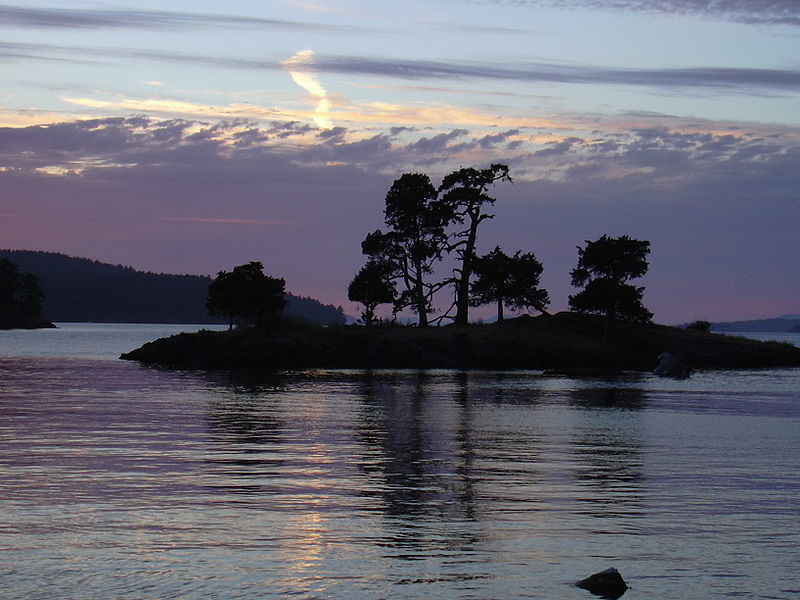 On the north end of the San Juan Island lies another lovely site called Rocke Harbor Resort. The seaside resort offers a luxurious yacht marina, and is populated by seafood eateries and local artisan shops. While here, take the time to drop by the San Juan Islands Museum of Art Sculpture Park, which features a 19-acre open garden area which contains over 100 exquisite structures. The park is part of the Westcott Bay Reserve, a region also widely known for its native oysters.